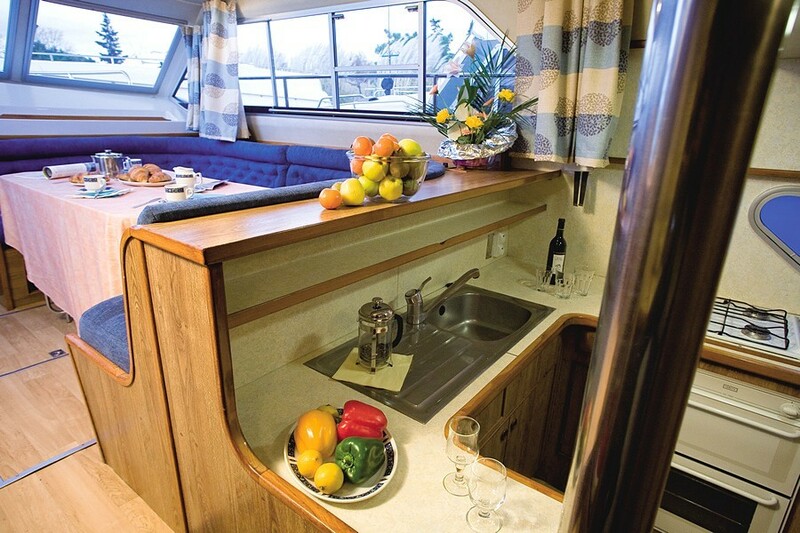 Two steering positions ¨C interiorand exterior. 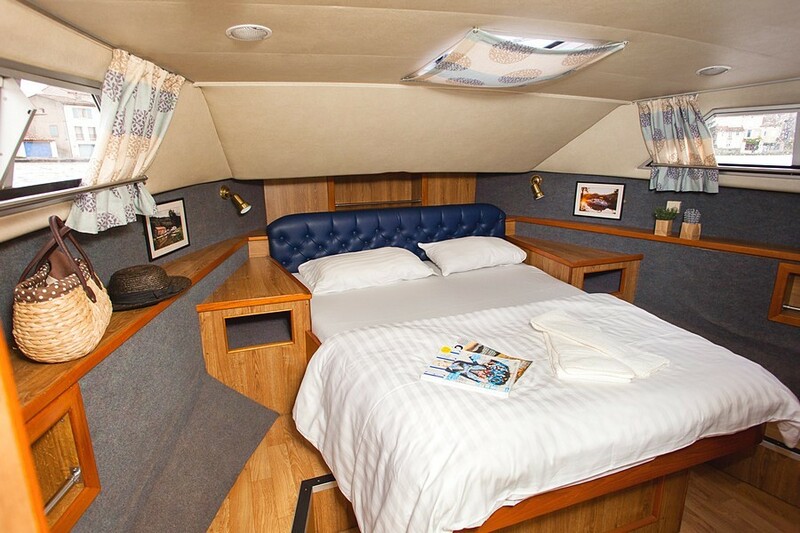 Forward cabin with king size bedand en-suite bathroom with showerand toilet. 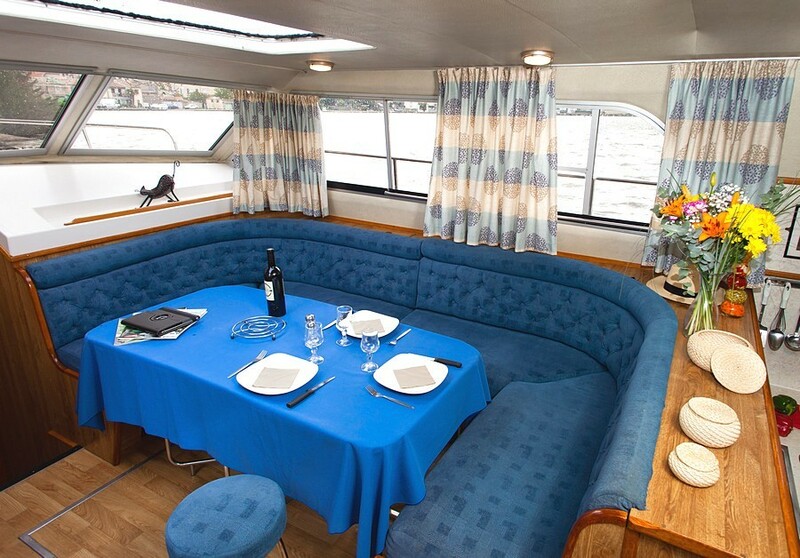 Spacious saloon with settee,folding table and sliding door foraccess to outside decks. 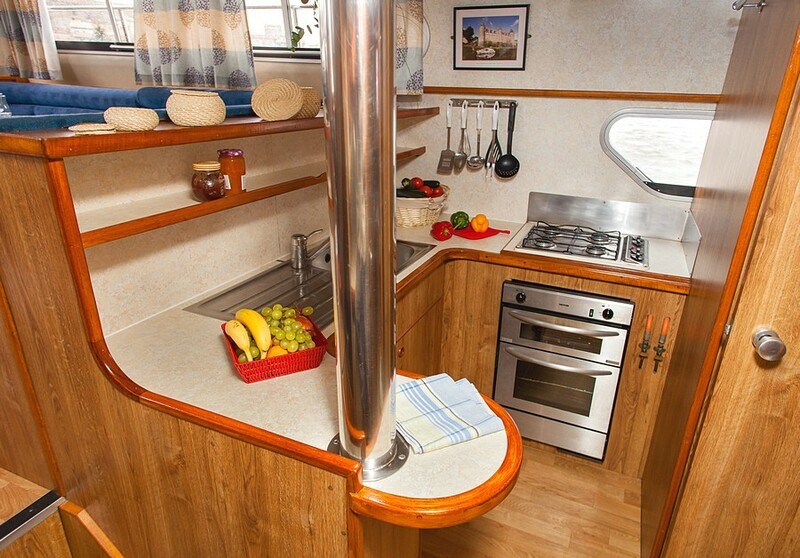 Large galley on lower level. 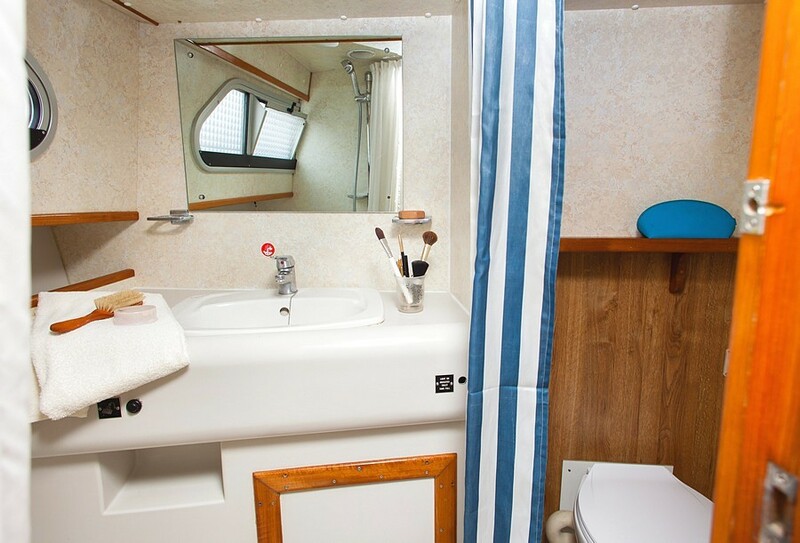 Two rear cabins each withsingle berths convertible to double,and ensuite shower and toiletcompartments. 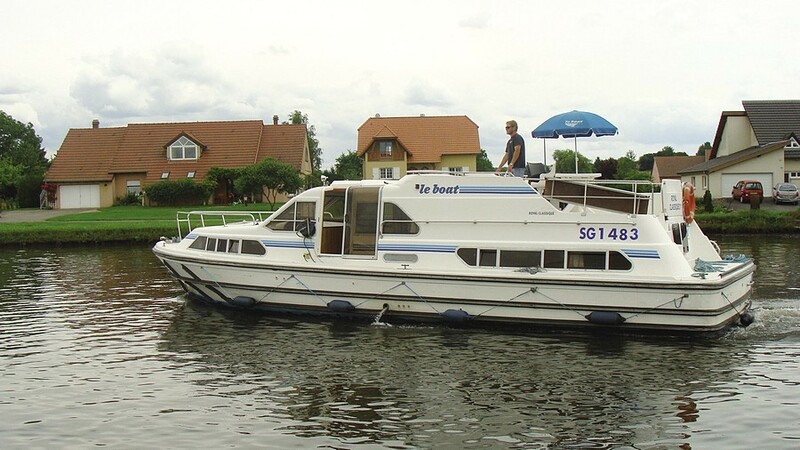 Spacious upper sun deck, directlyaccessible from the saloon withsecond steering position, table,chairs and a parasol. Air-conditioning. Bow thrusters. 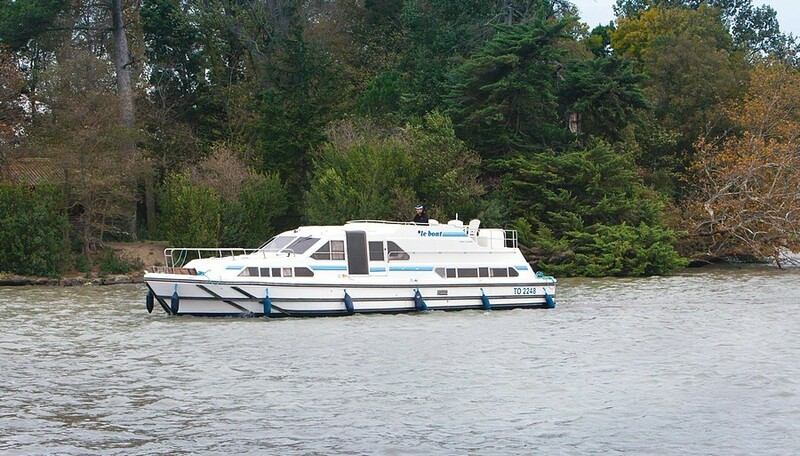 * Offer valid for cruises confirmed before 30/04/2019, cumulated up to 15% with our current offers, not retroactive.